In this Canon XF100 review you’ll get to know another product from Canon that is a huge improvement from its predecessors. Most professionals would compare the XF100 with the XA10, which is said to have been quite frustrating when it comes to settings adjustments. 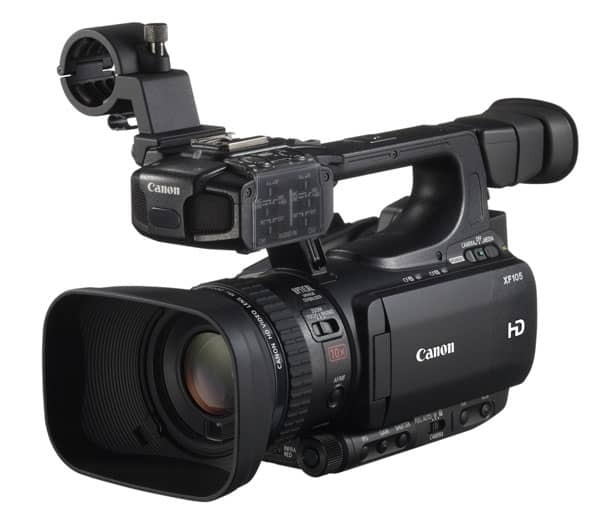 Others would say, however, that the Canon XF100 camcorder is designed for prosumers out there. So what makes this model a better option? It is lightweight and extremely compact in size. This makes it very handy and portable, perfect for shooting videos of events that require full coverage from one area of the venue to the next. Even when running after subjects just to get a candid shot, you won’t have a problem carrying the XF100. And because it also has an impressive stabilization technology, you won’t have a problem with shaky hands or moving subjects as well. It is full featured. 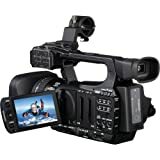 In fact, it shares almost the same features as the XF305 and XF300 Pro camcorders, including the codec. 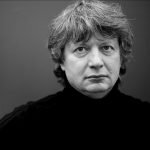 The only difference is that it comes with a recently developed 10x HD video lens with a native 1920 x 1080 CMOS Image Sensor, which is responsible for delivering exceptional images. 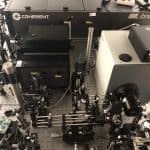 It can be configured to meet different needs. Check out other Canon XF100 reviews and discover that the camcorder has slow and fast motion settings. This means the camcorder can record videos in varying frame rates without resulting to any quality loss. As a matter of fact, maximum image quality is retained. It is easier to work with post-recording. Footage from XF100 flows smoothly and easily when being edited, reducing the amount of time that might have been spent on post-production work. Rendering is also faster even in HD. If there are no glitches with the editing software used, the entire process would be quicker and easier to complete. 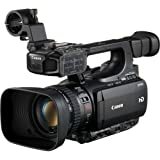 To get the most of a Canon XF100 camcorder, however, there are some things that need to be done before making a first recording. You are strongly advised against out-of-the-box shooting as the result may be less than what you expected. Ideally, you should adjust the settings before doing anything else. And the first one on the list is changing the custom picture profiles to get amazing footage. Some of the settings you should use include XF1MOJO, HI-GAIN and TRUVID. It is also recommended that the LCD screen is set to bright, especially when shooting under the sunlight. When taking videos in low light or taking night shots, it is best not to go beyond 9db gain if you want to capture great videos. Other Canon XF100 reviews also advise against using the auto mode as this will shoot up to 24db instantly, which produces the grainiest of images. The footage from the Canon XF100 can’t be natively used in programs like iMovie and Quicktime. It has to be converted into a different format for it to be compatible with such programs. But if you primarily use Final Cut Pro and Sony Vegas, you won’t have a problem converting the video as software called Canon XF utility comes packaged with the XF100. It allows you to make basic changes such as marking clips and converting files. In this Canon XF100 review; you have seen the pros and cons of this lightweight handheld camcorder. Despite being compact and full featured, it does have certain limitations. 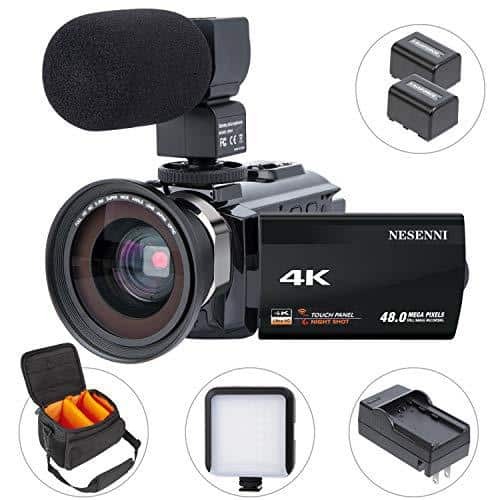 To help you make a decision though, take into account the features the camcorder have and other extras such as a built-in intervolometer, up to 4 hours of battery life, 920k hi-res screen and built-in lens with 35mm equivalent of 30 to 300mm. All in all, the XF100 is great value for your money. Top 10 Semi Pro Cameras ( WITH XLR INPUTS ).